PS, nice consistent colour scheme Deus. Thats what makes an army really stand out. Gee, thanks a lot, Panda. And the same to you, your guardsmen look great! Ironically enough, I just took pics of my main army yesterday. 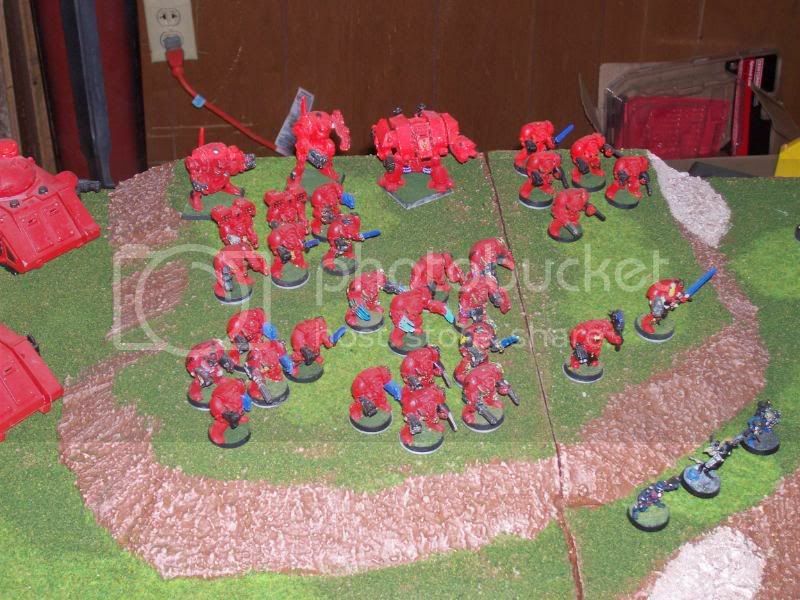 So here ya go, 6000+ points of Blood Angels. Woah... one word: BIG! 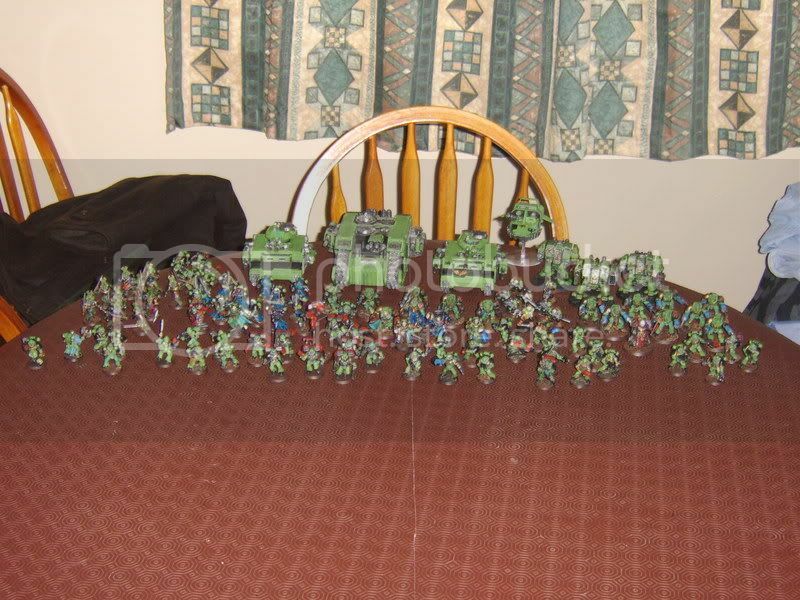 That one hell a lot of models, and I have to admit that I admire you, and everyone else capable, for having the patience to paint up that much. Thought of the day: You cannot awaken those who pretend to be asleep. Angels of Vendetta (Unforgiven) - 1500/1500 pts, Aka FINISHED! The Flesh Storm (Khornate Space Wolf renegades/Orks) - 503/1500 pts, work in progress. I think they're rogue trader dreads deus. Death magnetic: 5 slabs of vinyl: Pure spinning ecstasy. my Serpent army atm not finished yet. Wow, niceness! How many points are they, again? My compliments, Wraith. Just gotta love the basing and poses, I had no idea that Tau could look so exciting. Panda has it right. Both of them are old Rogue Trader dreds I've had forever. The one on the far right is a Furibundus (sp) but I can't remember the name of the on in the middle.